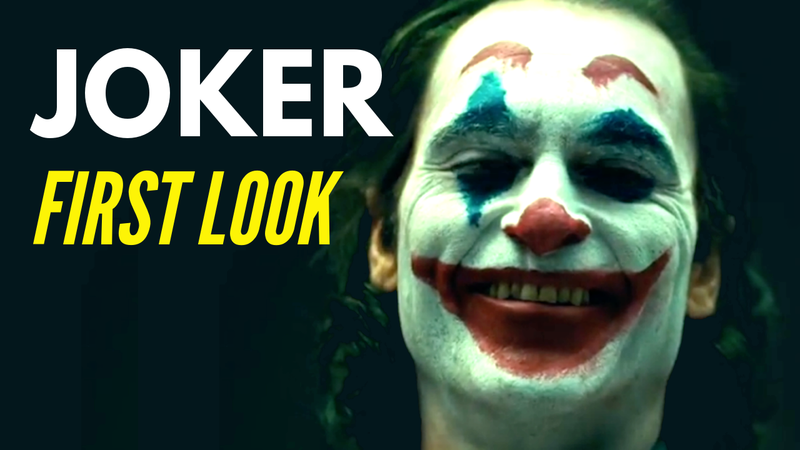 Filming has begun on the new Joker standalone movie, and we have our first real glimpse at the new villain's look. Starring Joaquin Phoenix, the movie (which won't tie into the existing DC movie universe) will focus on the untold origin of the Clown Prince of Crime. WBPictures posted a screen test with Joaquin Phoenix as Fleck slowly transforming into what appears to be his version of the Joker. We've put it into this video that combines the reveal with some spy footage taken on the set (from Splash News). Of course, there are a lot of questions raised. In the spy footage, we see a confrontation between Arthur Fleck (a standup comedian who turns to crime) and a clown, which seems clearly foreshadowing his transformation. In the screen test, we see an unassuming Fleck overlaid with flashes of a clown before finally transforming into a clown himself. Our biggest question watching it is, "Is that what he'll look like as the Joker? Or is that just a test?" Because if that's what he'll look like, it's kind of a big shift. Traditionally, the Joker has been someone whose skin and hair was discolored, but this version looks more like makeup and not his actual physical skin that's white. The uneven colors around the eyes and mouth are especially jarring. Joker is directed by Todd Phillips from a screenplay he wrote with Scott Silver, and stars Joaquin Phoenix as the Joker, along with Robert De Niro, Zazie Beetz, Bill Camp, Frances Conroy, Brett Cullen, and Marc Maron. It's scheduled to be released on October 4, 2019. What do you think of the new Joker?